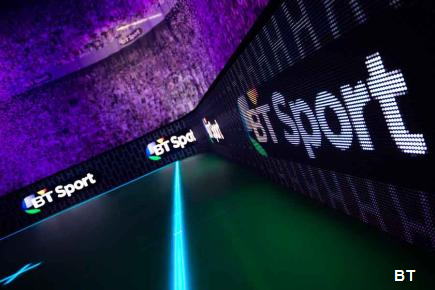 Home / Archive / featured / BT allows Freeview viewers to sample "Score"
BT allows Freeview viewers to sample "Score"
BT Sport is to offer Freeview users something a little different at the weekend, when it will simulcast Saturday afternoon sports results show Score on Freeview channel 59. It follows a similar move at the beginning of the season by Sky, who provided free access to their results show Soccer Saturday for one weekend only on 13th August, coinciding with the launch of BT Sport's Score service and widely seen as a spoiler tactic. Score was launched this season following BT's acquistion of Saturday evening Premier League rights. It features Mark Pougatch and an expert panel of guests reviewing all the afternoon's action, plus results as they come in. The programme goes up against not only Soccer Saturday but also the BBC's Final Score, which is usually carried on the BBC Red Button for most of the afternoon. Score will be broadcast on Freeview channel 59 from 2:30-5:30pm on Saturday 19th November 2016. After a three week break, the next free-to-air Champions League and Europa League fixtures will be announced soon.